From CCBoot v3.0 build 20140627, we add Create Child Disk function, which allows you to create multiple Child Images that have little differences with each other based on the master image (Parent Image). 1. Child Images are based on the same Parent Image, it saves hard disk space. When we put image on the SSD, the disk space is especially precious. And it also increases the cache hit ratio. 2. After creating Child Disk, when you enable super client to make some updates, the changes will be only effected on the Child Image, it won't have any influences on the Parent Image. Suppose you have two different motherboard systems, one is AM1 and the other is AM3. If you want the client PCs to use these two billing systems separately, you can use Create Child Disk function to achieve that. 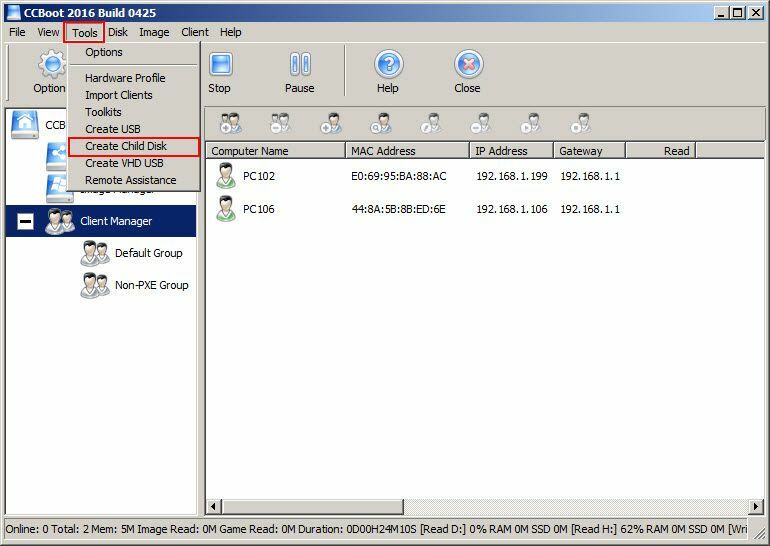 1) On CCBoot server main interface, click the "Tools" menu, and select "Create Child Disk". 2) It will pop up the"Child Disk Properties" dialog box. Click the ">>"button next to "Parent Disk Path" to select the Parent Image. And then modify the Disk File name, and click the "OK" button . 3) In the pop up "Create child disk OK" dialog box, click the "OK" button. 4) Now, you can find the the Child Image you just created, in the path you selected. 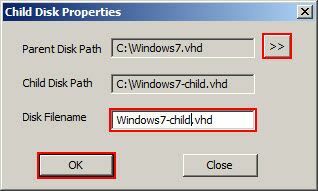 5) Add "Window 7 Child” image disks refer to Add Image wiki to add image in Image Manager. Once added, you will see the child image. Note: Please be cautious when using Child Disk function, we only recommend customers who need special and advanced settings to use this function. 1. Child Disk is the difference disk of Parent Disk, it should be used together with Parent Disk,and they must be in the same disk path. 2. 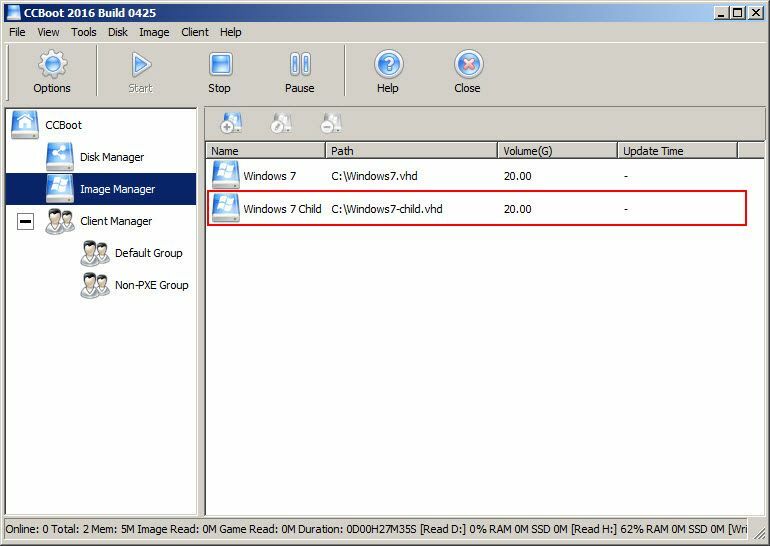 Once you created Child Disk, please do not modify the Parent Disk. Otherwise, the Child Disk will not function. And we do not recommend adding Parent Image into the "Image Manager". 3. 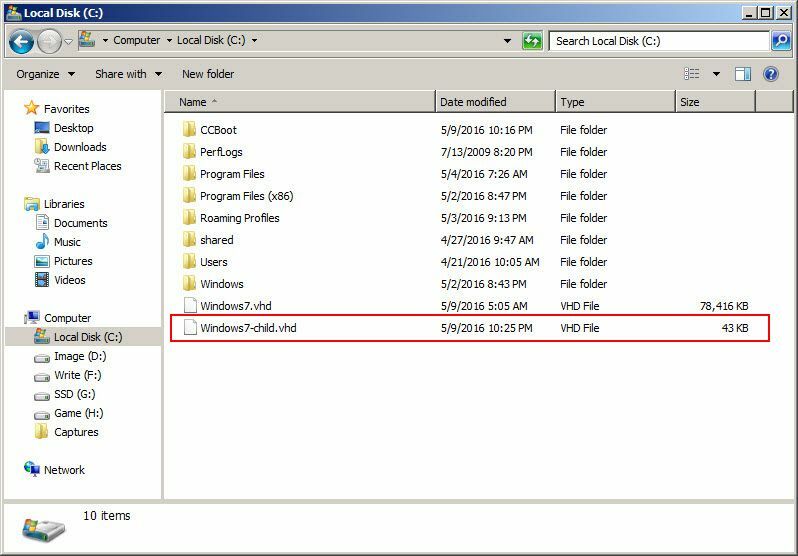 Child Disk is the difference disk of Parent Disk, on data index, when the data cannot be searched from the Child Disk, it will search from the Parent Disk, hence there will be a bit performance drop.